When life hands you lemons…make lemonade! That is exactly what Alexandra “Alex” Scott did as she fought for her life against cancer. As a result of her experience, she made it her mission to raise money to help kids other kids like her. At the age of 4, she held her first lemonade stand in her own front yard! Alex realized her dream and it continues to grow. The Alex’s Lemonade Stand Foundation continues her legacy with the help and support of many. 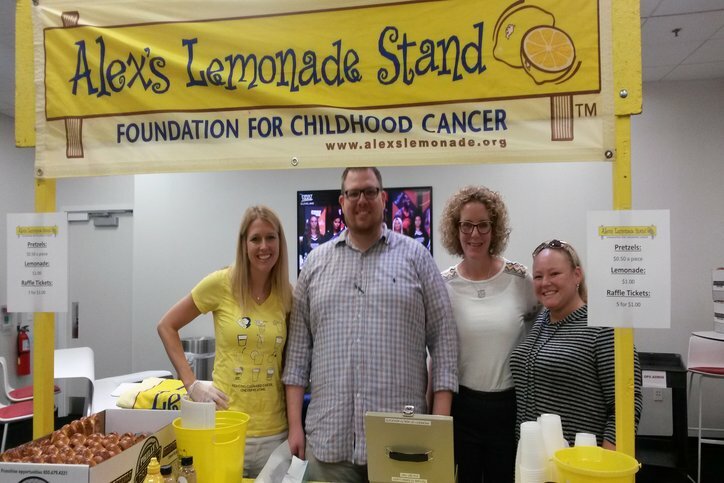 In honor of Alex and to help raise money for childhood cancer, Health Advocate participated in the annual fundraiser with a lemonade stand of our own! Heather Advocate employees in the Plymouth Meeting, PA office were invited to purchase lemonade and soft pretzels to support the foundation.